I happened on the Facebook page of my young friend Antonella who was doing a pop-up for her gluten-free bakery, Krumville Bake Shop (www.krumvillebakeshop.com), at a Soho (a trendy Manhattan neighborhood) store. 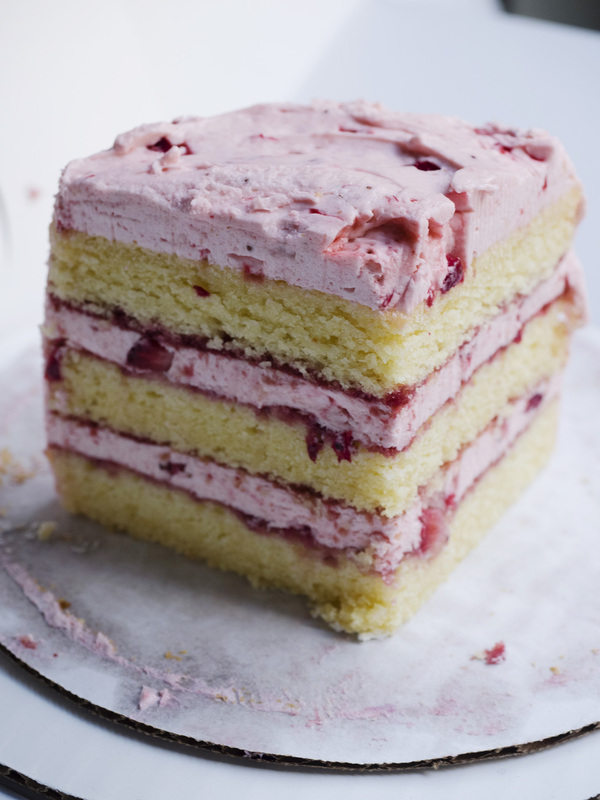 For the occasion, Anto had done a trial strawberry cake which she had featured on her page. It was so invitingly beautiful that I jokingly posted “can you bring me a slice?” And, sure enough at the end of the day our doorbell rang and there was Antonella cake slice in hand. I will tell you that the cake was even more delicious than it looked….and absolutely impossible to identify as being “gluten-free.” She ships all over so should you need or know someone who needs spectacular gluten-free treats, Krumville is the go-to bakery. And, even if you aren’t gluten-free, I still recommend Antonella’s products – they are all delicious. As I’ve mentioned many times I love what used to be called “nursery desserts” – that is those sweets that were, once upon a time, served only to children because they were simple to make and easy to digest. In that category were bread and butter puddings, rice pudding, custards (both quaking and sauce-like), floating island and so forth. When a child my two favorites were junket (a rather strange, mildly-flavored gelatinous pudding) and baked custard. 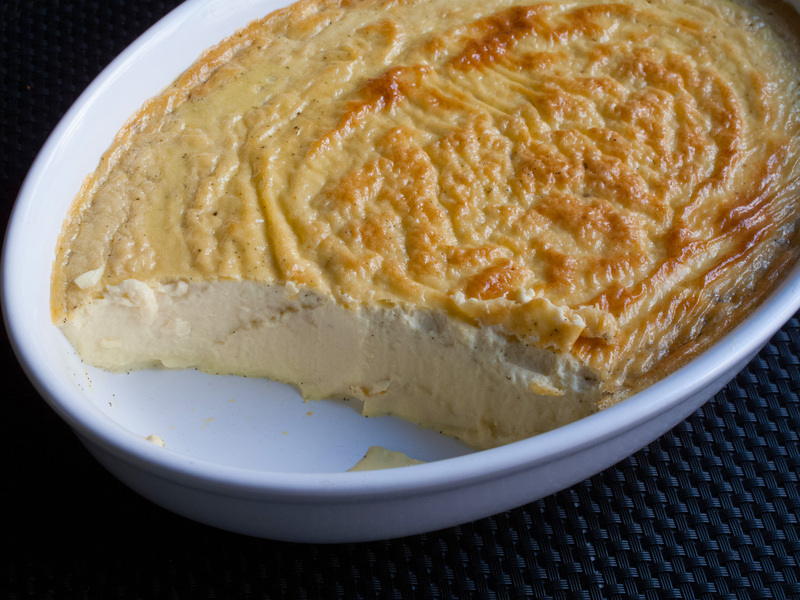 The other day I decided to try to make a custard for a friend who has a great many intolerances – among them gluten, dairy, and sugars which makes it difficult to prepare most desserts. Custard doesn’t require flours, but it certainly needs heavy cream and quite a bit of sugar. I substituted almond milk for the cream and used a sugar replacement and my sweet friend said it was very satisfying, but I have to say if you want to try your hand at old-fashioned custard stick to a recipe using cream and sugar. I know that I will next time. Generously butter the interior of a 1 quart baking dish or 6 small ramekins. Set aside. Whisk the eggs, egg yolk, and sugar together until well-blended by not too light and fluffy as that will leave bubbles in the baking custard. Set aside. Heat the cream and vanilla in a medium saucepan over medium heat just until it begins to steam. Do not let it even come to a bare simmer – again, those bubbles. Stirring constantly, slowly add the hot cream to the eggs. When perfectly blended, pour the mixture through a fine mesh sieve into the prepared baking dish. Place the baking dish in a larger baking pan. Add very hot water to come up about half way the side of the baking dish. Transfer to the preheated oven and bake for about 40 minutes (less if you are using individual ramekins) or until the center is still shaky when the bowl is moved. It continues to cook for a bit once removed from the oven and you don’t want it to over-cook as it will toughen. Remove from the heat and serve warm, at room temperature, or, if you like, refrigerate and serve cold. 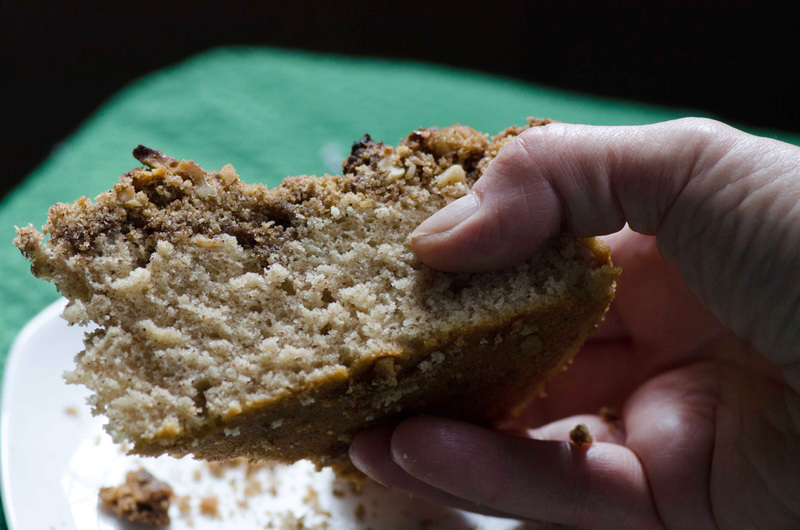 This was my mom’s go-to Sunday coffee cake and, as my wonderful husband just said “it is addictive. Easy to make and even easier to eat. It is so much better than a commercial out-of-the-box cake and really doesn’t take anytime at all to make. I make a big batch of the Crumb Topping and keep it in the freezer so the entire process takes only a few minutes to put the cake together. It can bake while you make the beds and throw a morning’s load of wash in. And, oh! the aroma that will wake everyone up to sweet thoughts. You can add dried fruit or berries to the batter, but it is totally unnecessary. Butter and flour a 9-inch round cake cake (or use nonstick vegetable spray such as Baker’s Joy). Set aside. Place the butter in the bowl of a standing electric mixer fitted with the paddle. Begin beating on low to soften; then, add the sugar and beat on medium until light and fluffy. Add the eggs, one at a time, beating well after each addition. Combine the flour, cinnamon, baking powder, and salt and add to the creamed mixture, alternately with the milk, beating just until well-blended. If using the fruit or berries, fold them into the batter now. Pour into the prepared pan, smoothing the top with an offset spatula (or whatever implement you have handy). Sprinkle the topping evenly over the batter. Transfer to the preheated oven and bake for about 40 minutes or until a cake tester inserted into the center comes out clean. Remove from the oven and set on a wire rack to cool for about 15 minutes before cutting into serving pieces. Combine the nuts, brown sugar, flour, and cinnamon in the bowl of a food processor fitted with the metal blade. Process to just combine. Add the butter and process, using quick on and off turns, to just crumbly. Use as directed or place in a resealable plastic bag, seal, label, and freeze for later use.